The Fenty Beauty Pro Filt’r Soft Matte Longwear Foundation is available at Sephora and retails for $42 CAD. The foundation comes with 1.08 oz of product, which is slightly more than the standard size which foundations usually come in. The shade range is quite extensive, coming with 40 different shades varying from pale to very deep with a multitude of undertones in each category. I picked up shade 290, which is for “medium to tan skin with neutral olive undertones”. The foundation comes in a minimal yet beautiful frosted glass bottle that comes with a pump. It’s medium coverage, but can be built up to full coverage. The foundation itself is slightly thin and runny with a bit of a gel-like texture. I used one pump of product to cover my face when using either a beauty sponge or a foundation brush, and I was left with medium coverage. Applying the foundation with a brush gave slightly more coverage with just one pump, however I noticed that the foundation caked up a little around my mouth. I achieved more of a skin-like finish using a beauty sponge. One layer of Fenty Beauty Foundation in 290. Applied with damp beauty sponge. 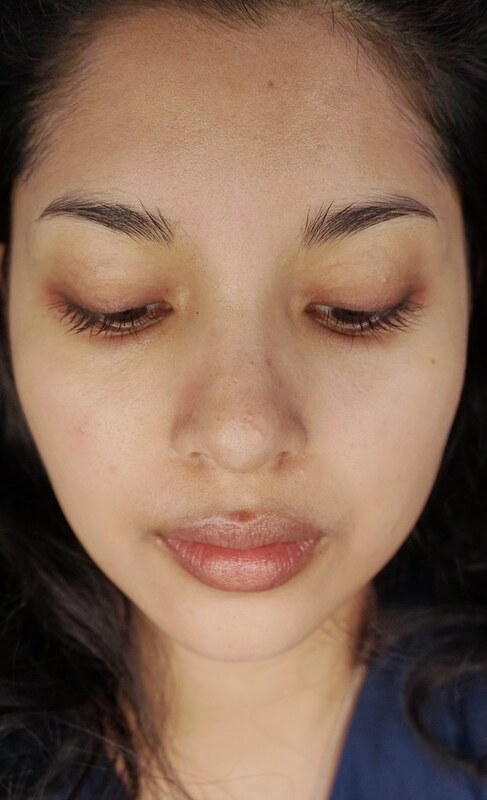 I added more coverage on some of my blemishes, and I found that the foundation built up very easily on those areas. It didn’t look cakey and it blended into the rest of the foundation nicely. 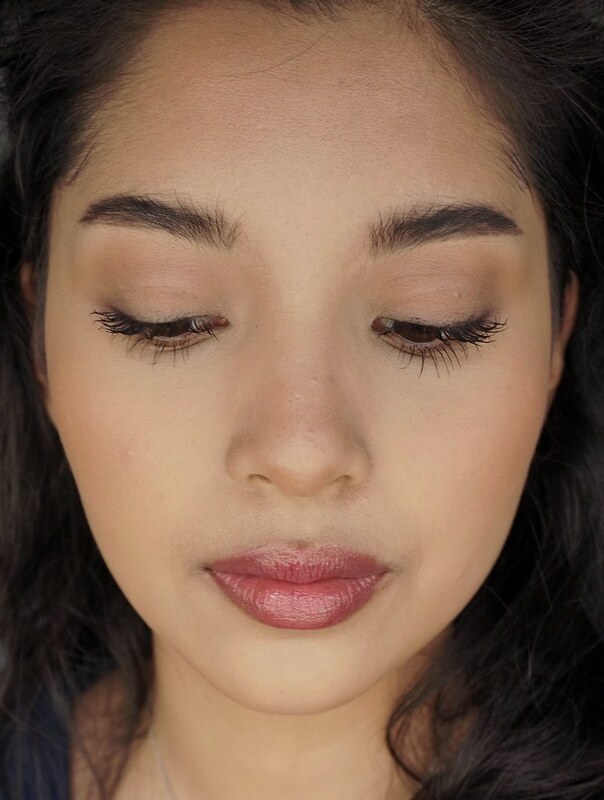 The foundation applied smoothly onto my skin easily without the use of a foundation primer. I noticed that my skin looked very smooth and that my pores were not as apparent. The foundation dried down quickly once applied, but I found that the finish wasn’t extremely matte or drying as some other matte foundations I’ve tried. It truly is more of a demi-matte finish. One thing to note is that once the foundation dries down fully, it oxidizes slightly. I didn’t have any issues with applying the rest of my makeup overtop of the foundation. It wasn’t necessary to use much powder to set the foundation down since it dried down so well. It gave me a very smooth base to work with. I tested the foundation a few times within the last week that I got it, and I have to say, it definitely has lasting power. I didn’t use primer with the foundation and I didn’t set it with a setting spray either. One of the days I stayed in my air-conditioned office, so of course it held up well. The next day, I had a BBQ at work and I was outside for a good couple of hours with the sun beaming on my face, so I thought it was the perfect opportunity to see how my foundation would hold up. Surprisingly, my makeup looked great even after all the sweating and heat. It also didn’t look shiny at all, which is what I consider a miracle given how oily my skin can get in hot and humid weather. I kept my foundation on for more than 10 hours each time I wore it, and by the time I decided to wash it off, I didn’t notice it breaking up anywhere or wearing off too badly. My pores did not look emphasized and there was minimal product settling into the fine lines around my mouth. For 10+ hours, it was looking as good as one would hope. 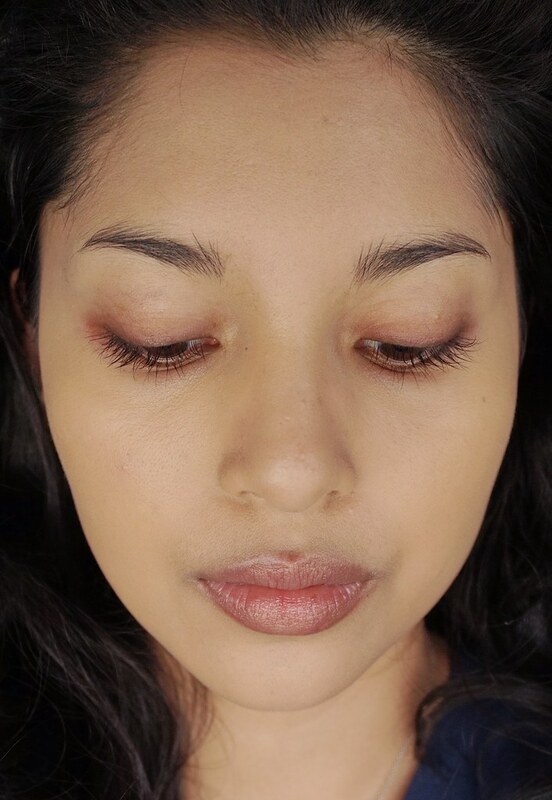 I decided to compare the shade I got with a couple of other olive-toned foundations in my collection. The shade 290 is slightly darker than NARS Sheer Glow in Stromboli, but the undertones appear to be similar. 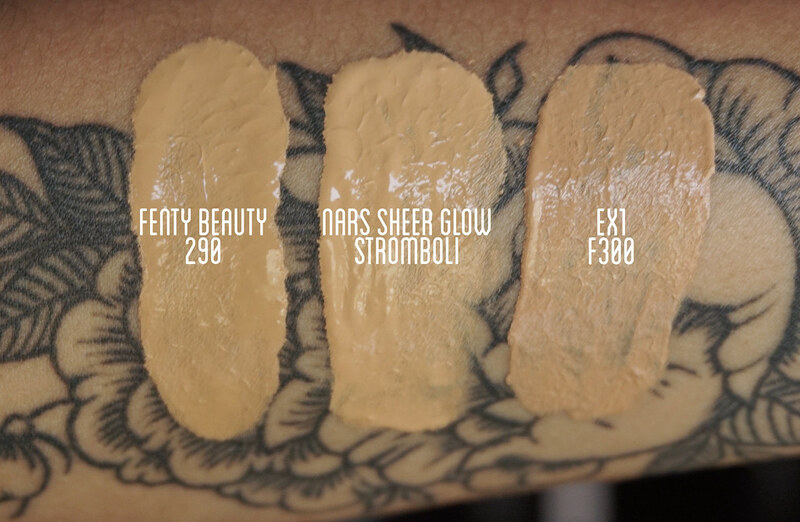 The EX1 Foundation, which is known for catering to olive skin tones, looks darker and slightly more neutral compared to the Fenty Beauty foundation. I’d say that the shade 290 is a very good option for those with medium-tan skin tones with more of an olive complexion. It’s difficult to find that kind of undertone within the medium-tan shade range, so I really appreciate this! The Fenty Beauty Pro Filt’r Soft Matte Longwear Foundation lives up to all its claims, it’s more affordable compared to other mid-range foundations, it comes with more product than the standard foundation, has great packaging, and it comes with a spectacular shade range. With all that said, I think it’s safe to say that I absolutely would recommend this foundation to those who are interested in trying it out. It’s a great option for those who aren’t really into heavy foundations but still want good coverage and want it to look somewhat natural. It’s easy to work with and doesn’t really require extra steps to make it look good and last throughout the day. It works well with both a brush and a beauty sponge, although I personally prefer the look of it using a sponge. Overall, it’s a really good product, and I’m so happy that Bad Gal Riri knocked it out of the park on her first attempt. I’m looking forward to trying other products in her line. 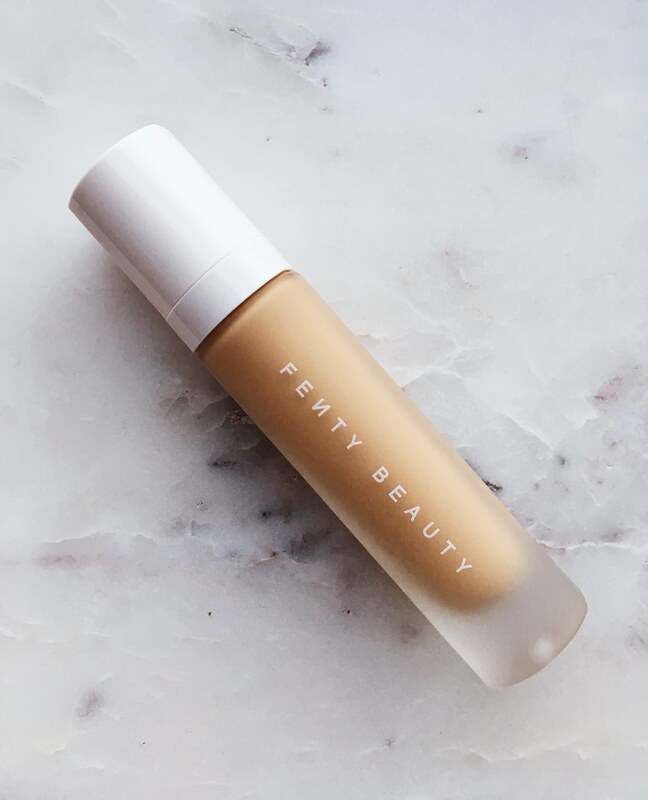 Have you tried anything from the Fenty Beauty line? EDIT (2018-05-09): I meant to update this post sooner, however I just wanted my readers to know that I broke out quite a bit after using this foundation. I thought it was an isolated event, however it became a reoccurring thing every time I wore it. I believe many other people have been experiencing the same issue. Just a word of caution in case any of you have sensitive skin. It’s unfortunate because the finish is beautiful. Oooh now I definitely need to try this!!! Her entire range looks so amazing, I keep seeing the “trophy wife” highlighter on everyone! Trophy Wife looks so pretty but I found it to be a little too glittery! Hi! I didn’t try 240 because based on its description it didn’t seem like a good match for my skin (medium with very warm undertones). Foundations can be so finicky! It’s hard to say which shade would work better for you based on the other foundations you use since there doesn’t appear to be a medium shade with an olive undertone in the Fenty line. Maybe 260 would be a better match? It says it has a neutral undertone but it’s worth a try.